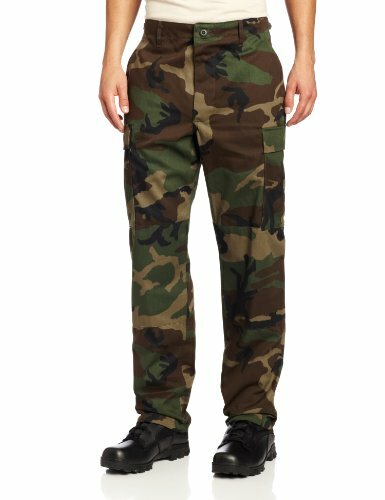 The classic BDU cargo pant has been a staple in the military for decades. 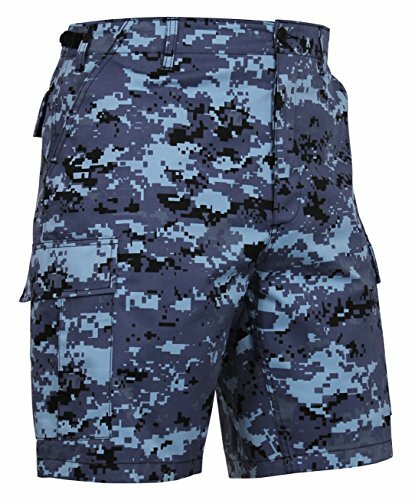 These ultra durable and comfortable pants are the epitome of comfort and military style. After all the years of trial and error in perfecting the unique military need for the perfect pant, this spec was created. Featuring the particular ripstop weave, drawstring cuff, and dependable durability. 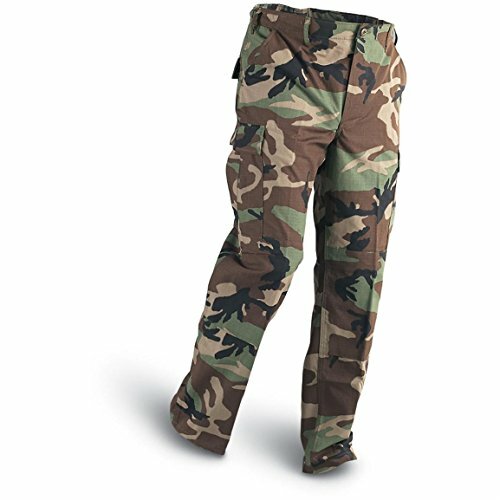 Also, great for tactical, EMS and paintball/airsoft. .
Mens Digital Woodland Camo Poly/Cotton Military BDU Fatigue Pants with Official ArmyUniverse Pin - Made of Cotton / Polyester Twill Material. Woven Trousers. Adjustable Waist Tabs on both sides For The Perfect Fit. Button Fly Closure. 6 Pocket Design With Snag Proof Button Flaps. 2 Front Slash Pockets. 2 Button Down Back Pockets. 2 Large Button Down Pleated Bellows Cargo Pockets. Reinforced Seat & Knees For Durability. Double Stitched Seams For Durability. Drawstring Ankle Ties. 1.875" Opening Belt Loops. Import. Sized for Men - But is Unisex. 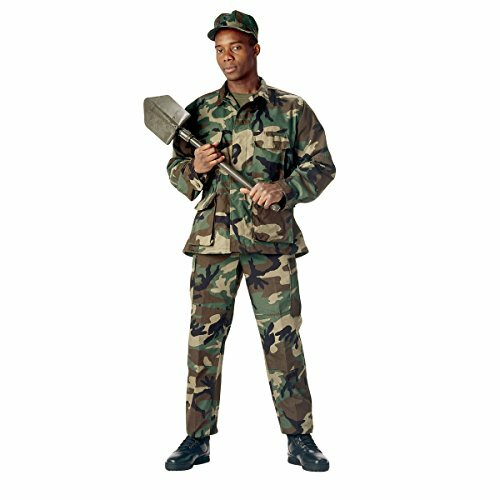 The BDU (Battle Dress Uniform) trouser is an iconic pair of pants, once used by the US military and many others. 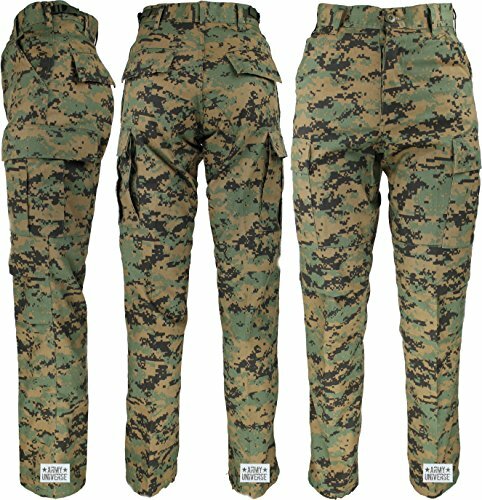 The BDU trousers are worn today as a fashion statement, for sports such as air soft and paintball, for use by law enforcement personnel and a wide range of military's. 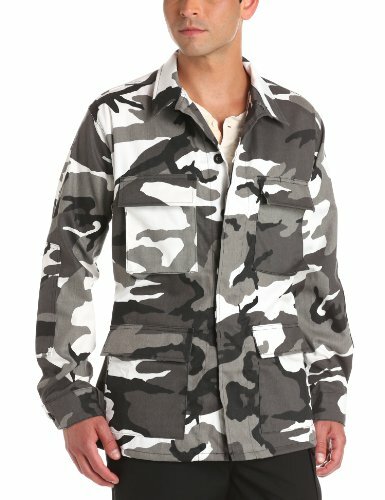 The universal camo cotton / polyester battle dress uniform pants are comfortable enough for casual pants or as a tactical uniform. 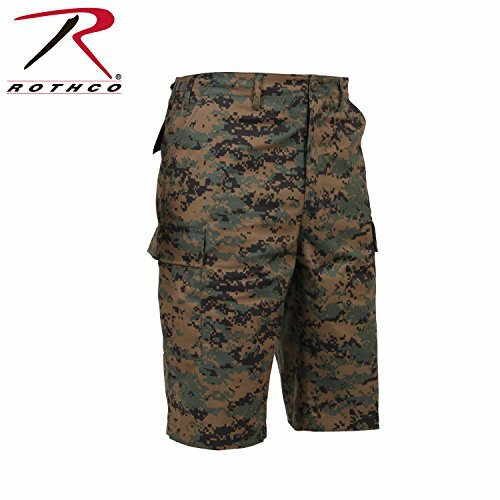 Founded in 1953, Rothco, a family-owned business run by Milton Somberg and Howard Somberg, has provided the military clothing and outdoor retailer with top quality merchandise and the finest service anywhere for over 60 years.